Home (All Topics) → Health & Fitness → Water Filtration vs. Bottled Water – Which Saves You More Money? 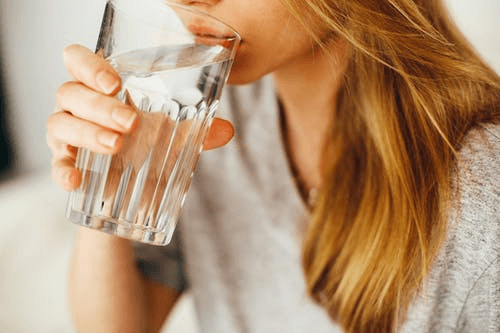 Water Filtration vs. Bottled Water – Which Saves You More Money? The fact that you're reading this is reason enough to assume that you know how important the quantity and quality of water you take is important to your overall health. Needless to say, water is one of the most essential chemicals of life. It is required in like a gazillion biochemical processes the take place in your body, including energy metabolism. In simpler terms, staying hydrated is one of the most common recommendations doctors give to individuals seeking a healthier way of life. If you like, you can compare it to exercise, food, and sleep. To skip the hullabaloo, however, you just can't drink any kind of water and expect to stay healthy. Before it is considered safe for drinking, this important substance needs to be purified or get rid of potential toxins, microorganisms, and other substances that may be harmful to your body. In most cases, this is known as purification in its entirety. Even though it is considered suitable for human consumption in most places, tap water always safe for drinking as it can contain a great deal of health-threatening contaminants. This is one of the reasons why most people prefer taking filtered water or bottled water. But then again, you can't stay away from the fact that today's economy is particularly somewhat wanting. And let's be honest, water can be a costly utility, especially for homeowners with more than just a few family members to take care of. While some go for bottled water, some prefer purchasing water purification systems to make their own filtered water at home. 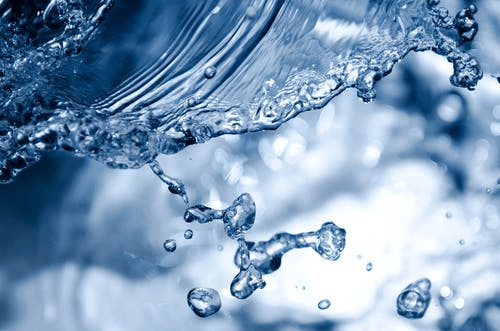 Osmosis water filtration systems are some of the most popular options when it comes to water filtration for homes and commercial premises. You don't need a magician to explain to you what bottled water is. It's simply purified water that has been filtered, chemically treated and packaged in a bottle. It is free from any harmful water pathogens and toxins that could potentially make your life a ‘living hell'. For those one-time affairs where you're away from home or the office and you need to quench your thirst, bottled water will always come in handy. Especially if you always stick to bottled water from a brand that is trusted and reputable, you can say goodbye to waterborne diseases such as amoeba, diarrhea, and the likes. However, is it really worth it when it comes to regular use? Well, there's only one way to find out! Thanks to advancements in technology, you can now purify your own drinking water at home or in the office. This is done using water filtration systems, which are sometimes referred to as water purifiers. You just need to pass some (pre-treated) tap water through the filtration unit and you're good to go. If you like, you can even put some in a portable water bottle for use on the go, in the office or when traveling. Furthermore, there are many different types of water filters on the market, which come in varying sizes, capacities, designs, and mechanisms of operation. In most cases, the end result remains the same – treated, filtered, and purified water that is safe for drinking. By now, you're probably still wondering which between filtered and bottled water is more cost-effective? Well, the truth is, it depends. To decipher this in the best way, let's look at the upfront and long-term costs of both alternatives. It's always a good idea to do some research in order to be able to have a better idea and also know what it is that you need to be taking into consideration when calculating your expenses. BOS is a great place to start as they go in depth on the topic at hand, and give you information that will actually help you become better informed moving forward. As might have been hinted out earlier, bottled water can be a cheaper alternative in certain cases. When organizing a few days' camping trips for your team of employees, for instance, purchasing bottled water can be a cheaper alternative to purchasing a water filtration system. The same case applies to when you find yourself on a busy street and you get thirsty. In most places, a 500ml water bottle will cost you less than a dollar to a few. However, this may not be the case when this is done on a regular basis. The doctor recommends taking at least 64 ounces or 8 glasses of water each day for healthy living. Assuming you're a family of 4, this means that you need at least 2 gallons of drinking water each day in your home. When you go with bottled water, this means that you'll spend at least $3,000 or more per year for your home. Clearly, this is a budget that you can cut by purchasing a water filtration system. One slight upside of bottled water is that it won't add to your energy bill. Additionally, no equipment will need maintenance. One of the major reasons many people shy away from water filters is that they don't come cheap. Nonetheless, the good thing is that water filter systems are available in a wide range of varieties you can choose from based on your budget. These range from whole house water filters to under-sink filtration systems. Simply put, though, upfront costs for water filter systems are expensively worth it, which brings us to the next essential pointer! Without beating around the bush, water filters are all the rage when it comes to matters cost in the long-term. Despite the fact that they are highly priced, a water filtration system will save you some thousands of dollars in the long run. Instead of worrying about spending money on your next pack of water bottles, all you have to do is keep your water filter well-maintained. After purchasing the unit, you'll only have to include some additional dollars or a few tens of them annually towards your tap water bill. Just like with all other important home appliances, maintenance is a huge necessity when it comes to home water filter systems. Maintenance may involve changing the filters periodically and keeping your unit clean to ensure it's functioning properly. In sum, none of us can do without water in life. As a matter of fact, water is life. And from a financial standpoint, filtered water is by far more cost-effective than bottled water.